Computers keep getting smaller, but our need to type still demands space, be it a cramped screen keyboard of clunky peripheral. 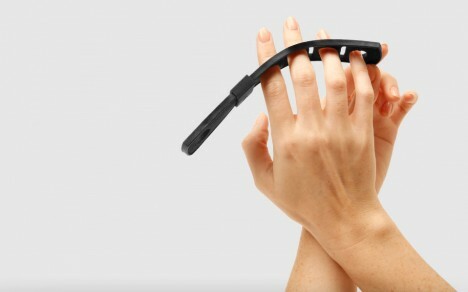 Thus the Tap Strap, a flexible plastic gadget that slots onto you fingers. The operation is simple: tap your thumb on a surface to turn it on, then begin tapping away on that same surface and let a micro-controller unit relay your typing via Bluetooth to phones, tablets, TVs or computers. 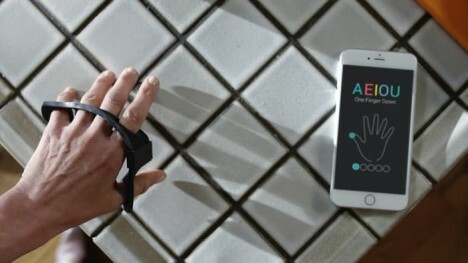 That surface can be just about anything, from your own forearm to a tabletop or even the top of your head. Of course, there is a learning curve, but the makers also made Tap Genius, which helps teach users the required gestures. Supposedly it only takes an hour to learn the basics (but presumably not to get to normal typing speed, special characters, numbers and all). The battery lasts for up to three days of idle time or four hours of continuous use, then recharges via micro-USB. This may or may not be the next quantum leap in input methods, but it does suggest there is room for other configurations than QWERTY, particularly as predictive tech takes off in parallel. It could also be a great game input device and way to interact with virtual reality simulations where you are up and moving. See more in Computers or under Gadgets. August, 2016.